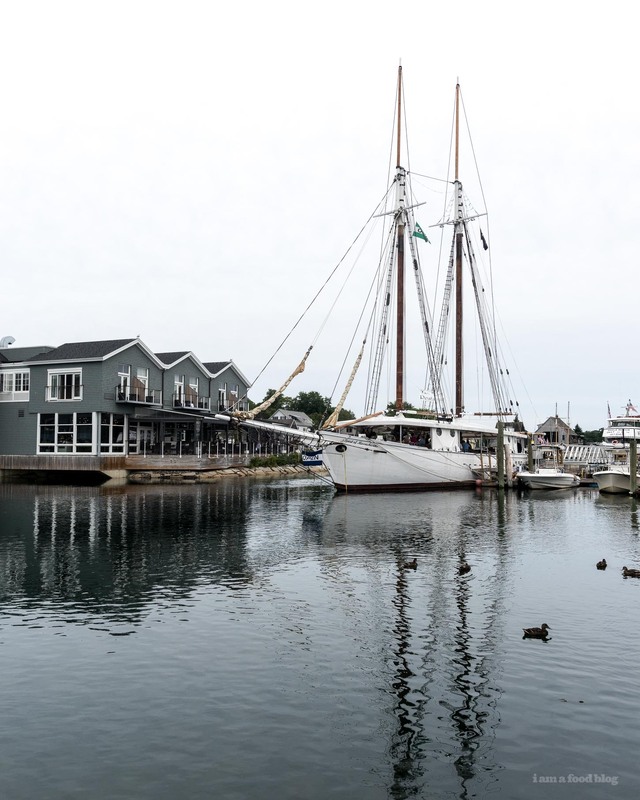 We drove the New England Coast and here's what we ate and did in Maine! 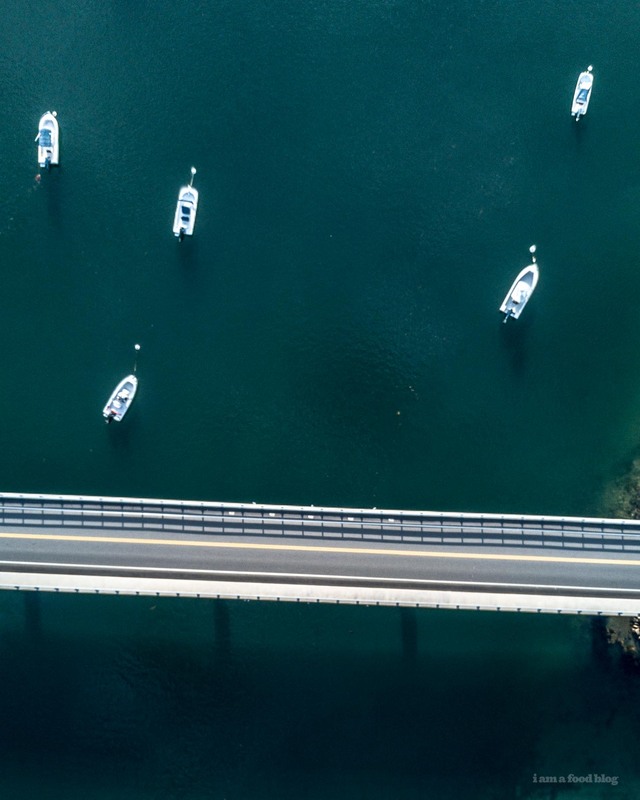 We drove the New England Coast and absolutely LOVED it! It’s always been an absolute dream of mine to summer in New England and it didn’t disappoint. I’m so obsessed that I want to go back. Totally dreaming of being one of those families who has a summer home and goes every year to the same clam shacks and beaches. New England was dreamy in a way that I didn’t know it would be. Everyone was really friendly and there was a definite on holiday kind of feel. 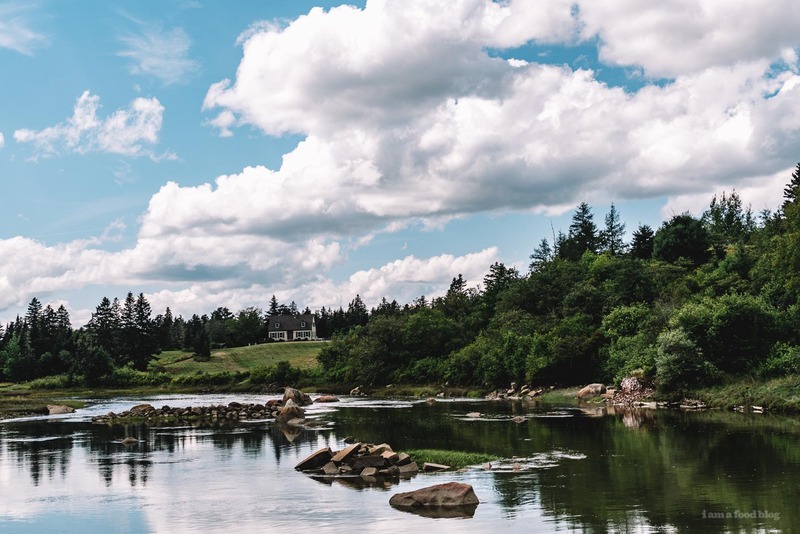 We spent two days driving through Maine and this is what we did and ate! 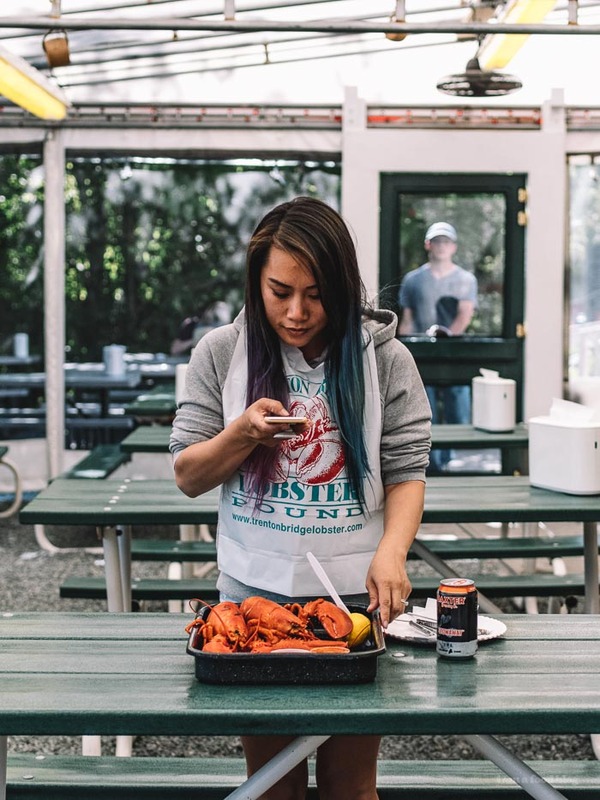 I absolutely was obsessed with going to a lobster pound because when you’re in Maine, you eat lobster. I was extra excited because in Maine, you can try soft shell lobster. It’s one of the rare places where you can try it – it doesn’t ship well so generally they only ship out the hard shell guys. Soft shell lobsters are at that in between point when lobsters get too big for their old shells, shed them, and have lots of space to grow into their new ones. There’s a big debate on which are better, hard or soft. Softies have a lot of space between their meat and shell, so people often buy bigger soft shell crabs to make up for that. Also, their shells are more porous so they take on more of that sea water flavor. And yes, they cook the lobsters in sea water, in giant pots outside. We tried both at Trenton Bridge Lobster Pound and I have to say, I kind of prefer the softies. They are just a touch more tender. 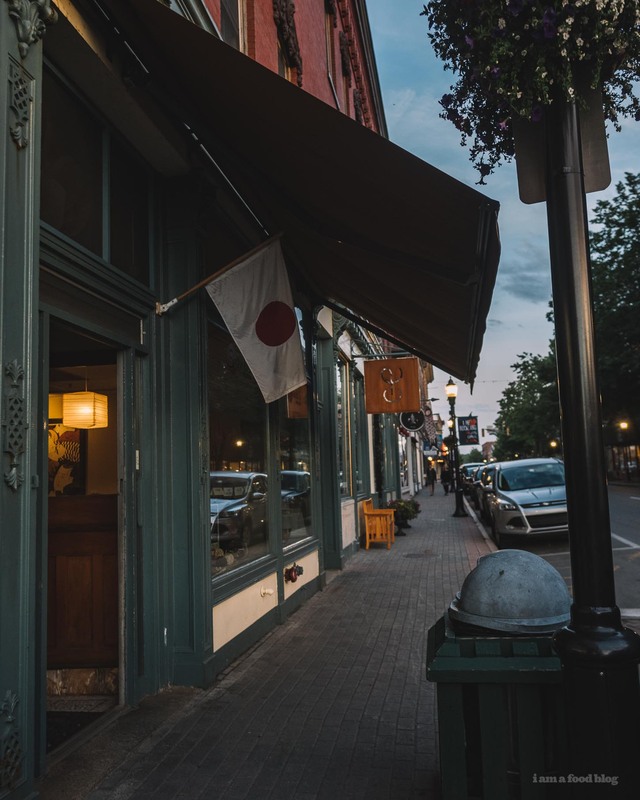 We stopped by Camden to try to go to Long Grain, a well known Thai place, but they were full up so we wandered around and took in the that New England feels and it was quaint and perfect but really we were starving so we left pretty quickly. I did manage to pet two(!) friendly corgis so it was a cute stop. Since the Thai food didn’t work out, we decided to drive to Rockland. It’s kind of awesome how everything is really close. 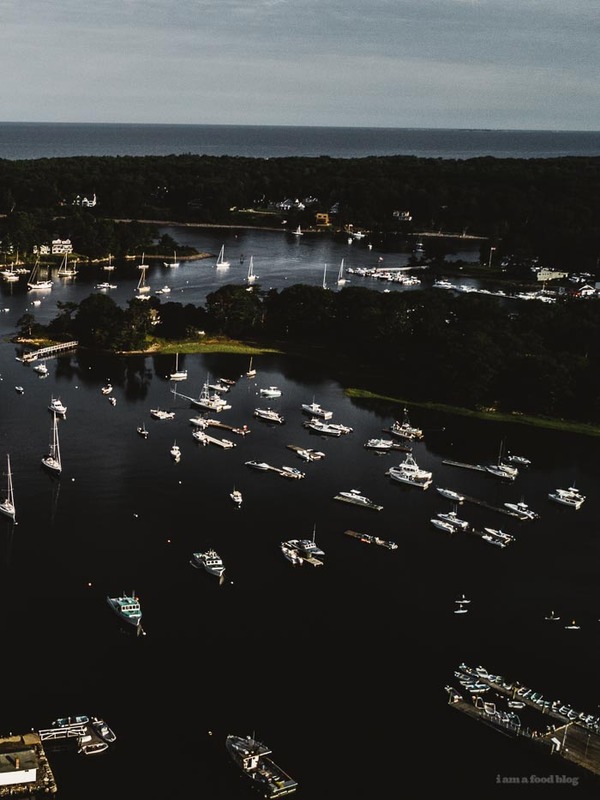 There are lots of tiny towns to explore, like Rockland. We hit up Suzuki’s Sushi Bar and we weren’t disappointed. It was awesome, fresh, and local, from the fish to the vegetables. We stopped by for a quick drink at Maine Beer Company, mostly because it was right by our hotel and it was just past 11 and we were on vacation. The beers were clean and crisp and it felt very New England. Bonus: they have giant soft German pretzels. I don’t think people go to Maine and skip out on Portland. Portland is super cute but we didn’t spend too much time there. What we did do is eat donuts and pie. All my google searches about Portland told me to eat potato donuts. Maine’s number 1 crop is russet potatoes so I guess it’s no surprise that they make their donuts with potatoes. Potato donuts are fluffy and kind of like a hybrid of cake and yeast donuts, but more on the yeast side. We had a Wild Maine blueberry filled one at HiFi Donuts and a plain glazed at The Holy Donut. They sell out quick though, so if you’re looking forward to trying them go early. I was disappointed because we were too late to get one of the bacon cheddar filled. 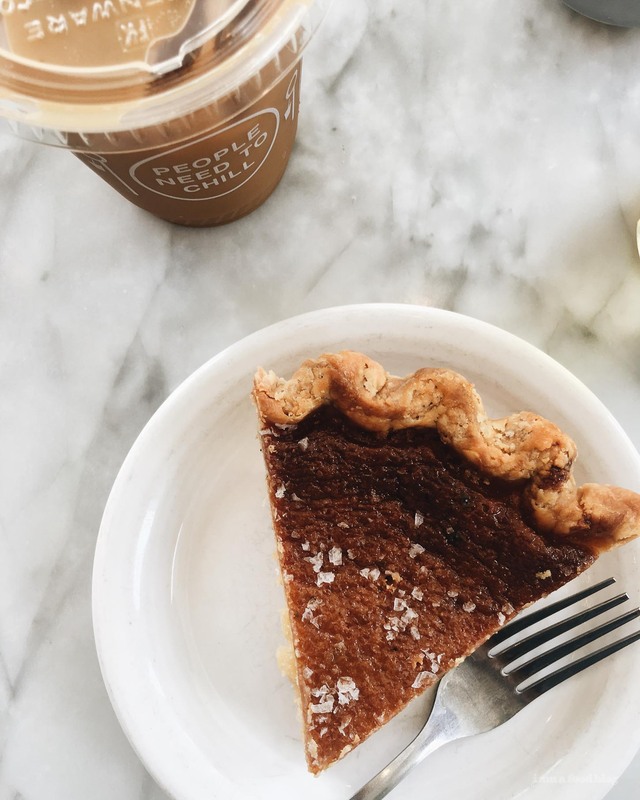 After our donut-venture, we hit up Tandem Coffee and Bakery for a quick caffeine hit and a slice custard pie. I’m officially obsessed with custard pies. I need to make one soon, so if you have a good recipe, hit me up! 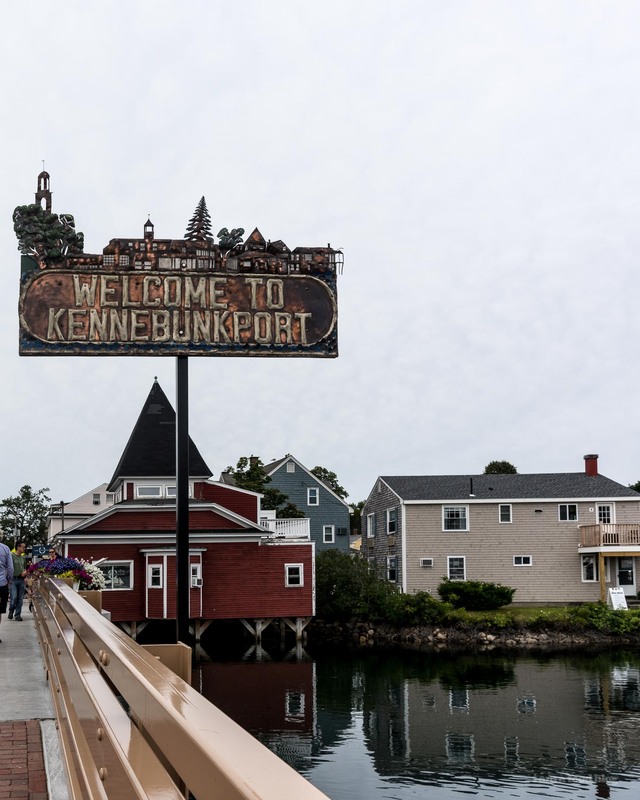 Kennebunkport was THE CUTEST Maine town. 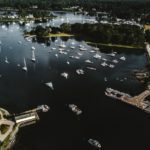 It was full of tiny shops and restaurants right on Kennebunk River and we wandered around looking at all the ice cream shops and listened to the live bands playing on patios before stopping by The Clam Shack for a classic Maine lobster roll. We ate a LOT of lobster rolls over the course of our trip and I can say, without a doubt, that the lobster roll at The Clam Shack was my favorite. 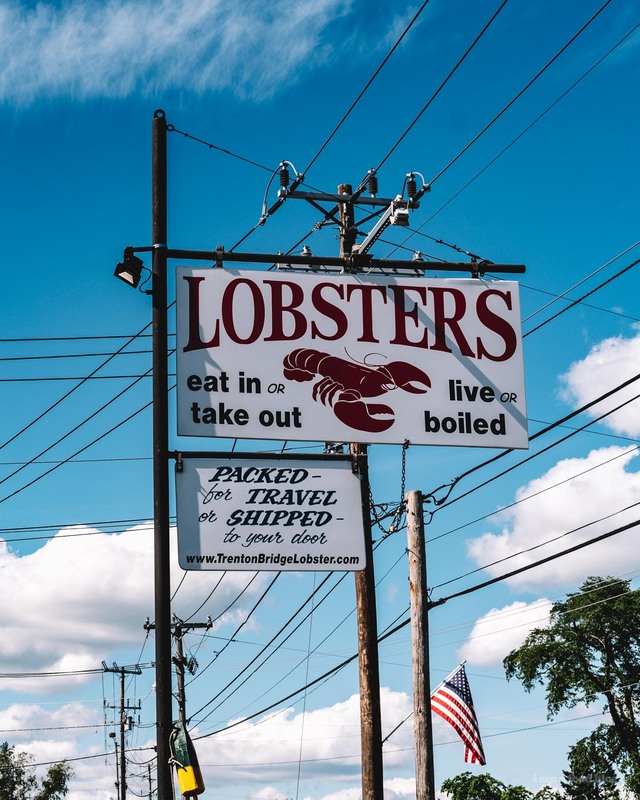 They eschew the iconic New England style split bun classically used for lobster rolls and go for a round white roll baked daily especially for them. You can go for butter, mayonnaise, or both. 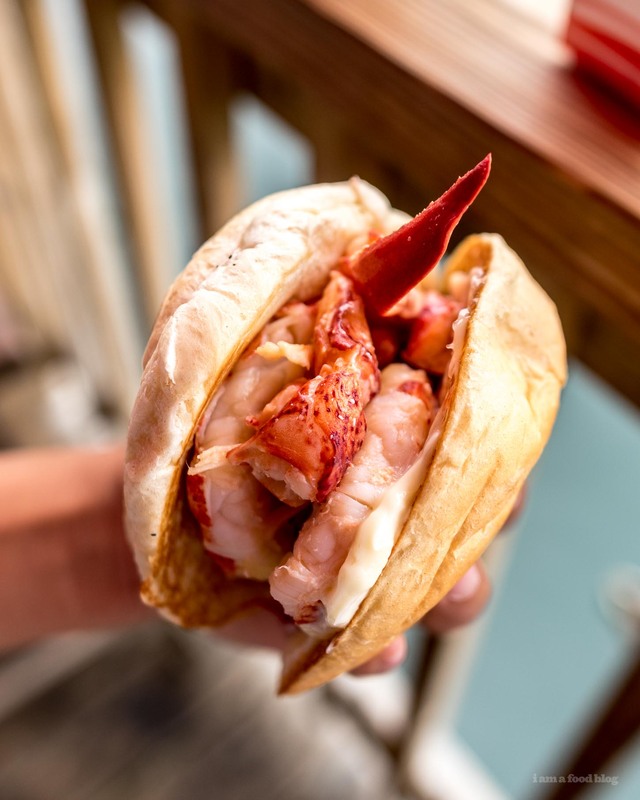 Most people go for butter (it’s the good stuff, locally made Maine butter) but we went for both because when The Clam Shack competes in lobster roll competitions, they go for both. The lobster is shelled and picked by hand and each roll has a bit of claw, knuckle, and tail in it. SO GOOD. We spent some time taking photos in York, near the southern tip. York was full of gorgeous beaches, an iconic lighthouse, giant white New England style houses and, my favorite: Wiggly Bridge! We parked by the side of the road, walked across a gravel sandbar where kids were fishing, to cross the world’s smallest suspension bridge. 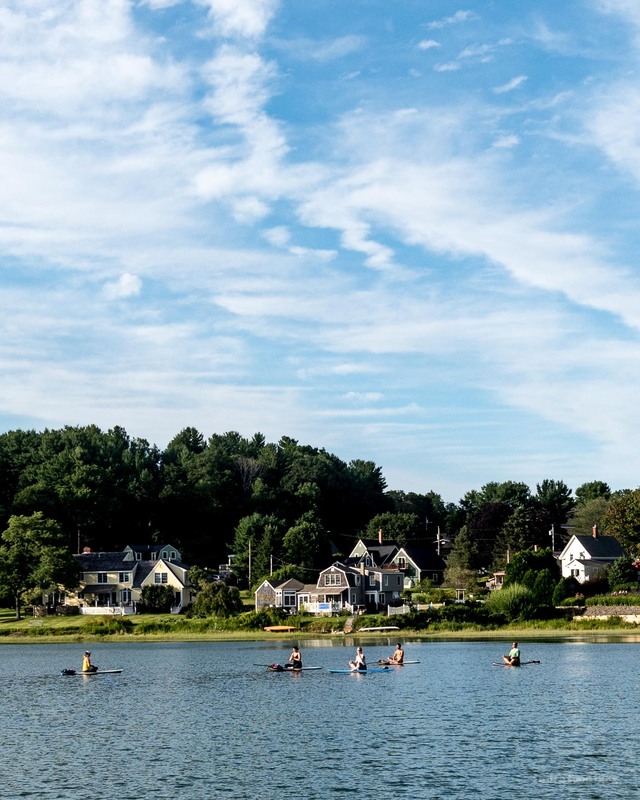 There were people doing paddle board yoga in the bay, it was sunny and summery and one of my favorite memories in Maine. Definitely check out the bridge, even if you don’t have time, it’s a short detour and very cute. And, if you do have time, there’s a park on the other side of the bridge. We didn’t have time to explore, but it looked like a beautiful place for an afternoon hike. Anju was our last stop in Maine, right in Kittery, the last town before you take the bridge over to New Hampshire. 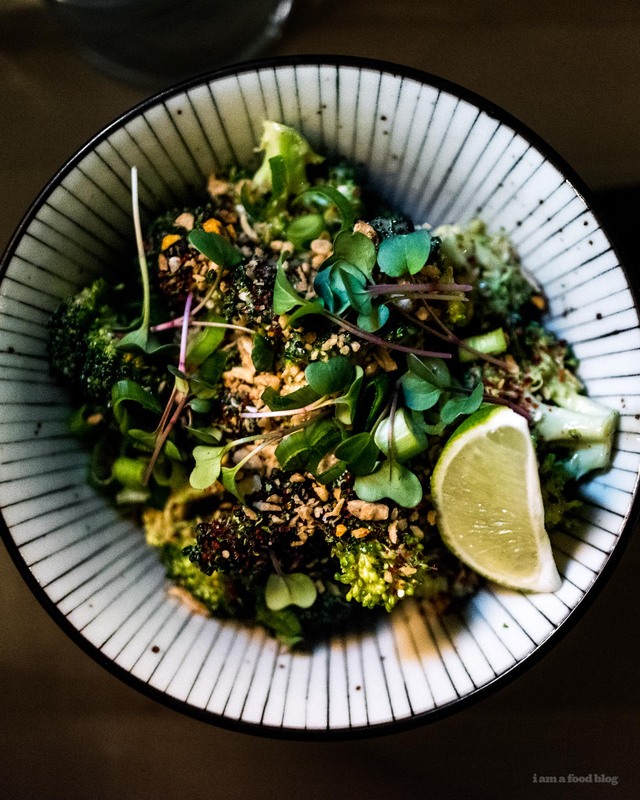 We had noodles, which were solid, but what I fell in love with was their broccoli salad with ginger tahini dressing. Maybe I was craving vegetables? Whatever it was, it was a fitting goodbye to Maine: crisp and clean, addictive and delicious. I can’t wait to go back. I really want to see all of the fall leaves and drink apple cider and eat potato doughnuts and maybe have a bonfire on the beach? Have you guys been? Do you have any recommendations for next time? So, so jealous of that lobster roll right now. What a trip! 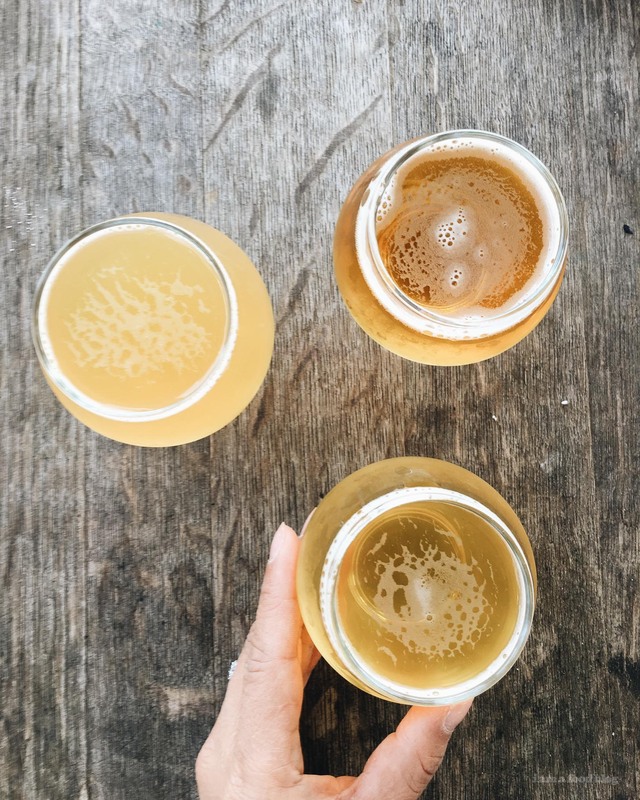 I’ve always wanted to try the Maine beer – heard so many things about it! I highly recommend trying a little farther north. If you were coming from Canada (New Brunswick) you’d cross at St. Stephen / Calais and then drive Route 9 (The Airline) to Bangor. Head toward Newport on I-95 but stop for breakfast at Dysart’s in Hermon – a massive 24-hour truck stop with honey rolls (if they’re not out) and home-style food of every description. At Newport, head north to Skowhegan (New Balance factory outlet if you’re into sneakers) then to Madison and eventually to Kingfield. 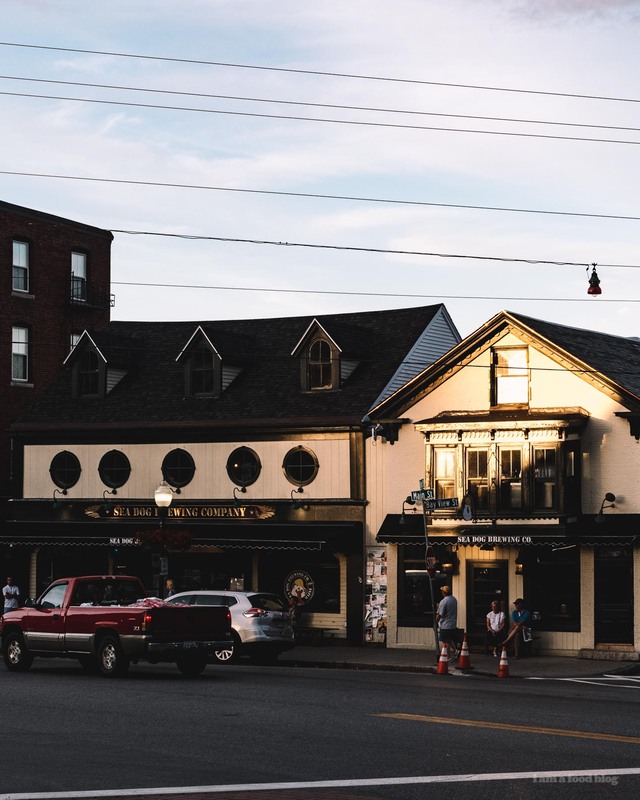 There you’ll find the Herbert Grand hotel – finished in the Adirondack style and the first hotel in Maine to have electric lights (and supposedly haunted). Try the steak tips at Longfellow’s (across the street), and walk up to the Orange Cat Café for breakfast with a newspaper and a cat for your lap. Kingfield is just south of the Sugarloaf ski resort and they also have a championship eighteen-hole golf course. Lots of places along the road for the skiers to carbo-load! Much of the drive follows the Carrabassett River Valley – beautiful! 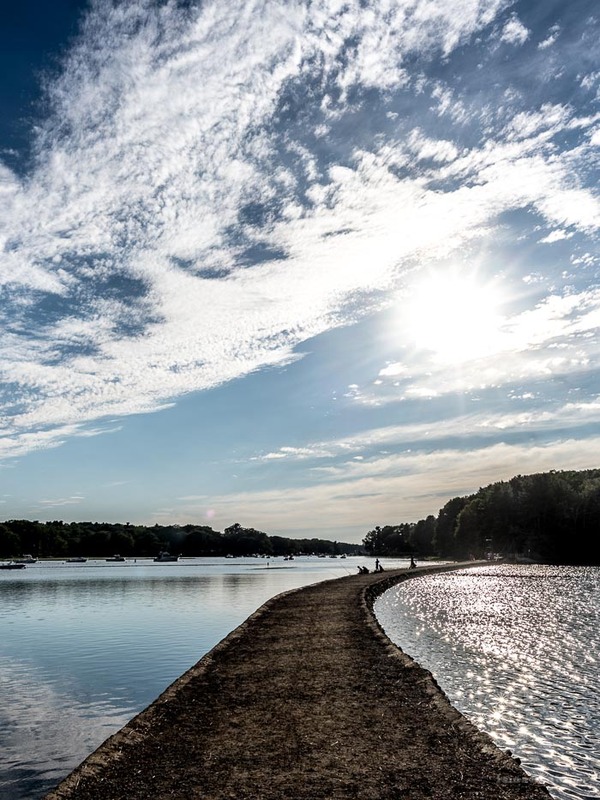 Aww shucks, Camden is where we live! You should have hit up Francine!! Or sat on the harbor at the Rhumb Line. Next time! sounds like a great trip! 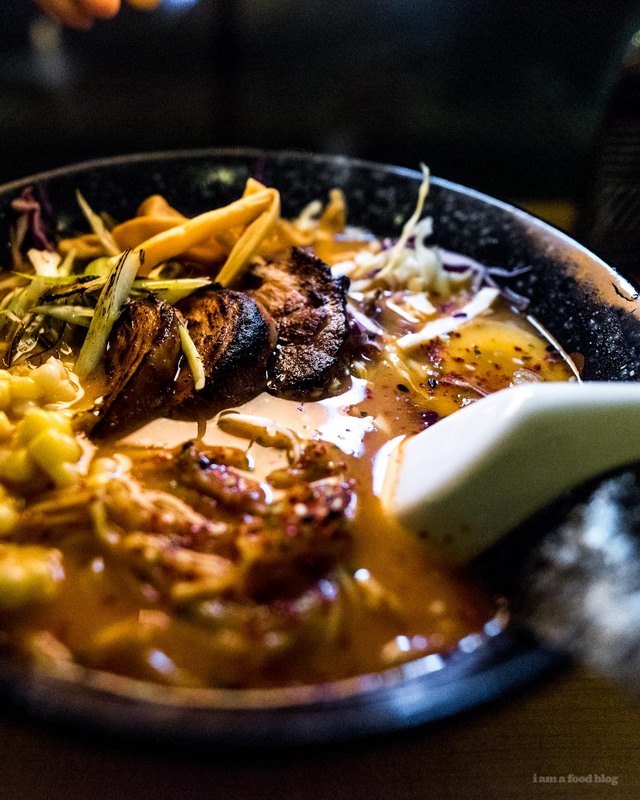 next time take a deeper dive into the Portland dining scene beyond donuts. So much goodness! Beautiful pictures of your trip! 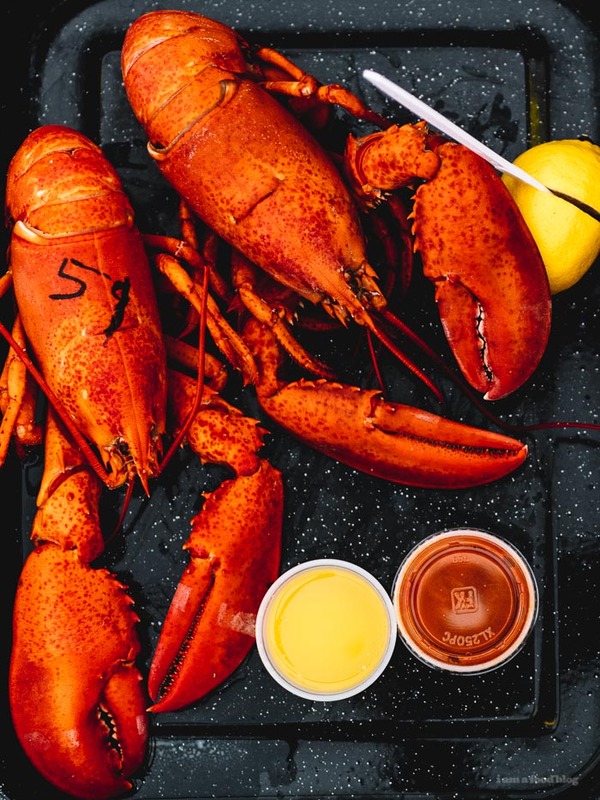 I am dying to try the soft shell lobsters and just from your picture and short description I’m going to attempt that broccoli salad- any chance you will try to recreate it for the blog? I love how much you loved Maine Stephanie!! 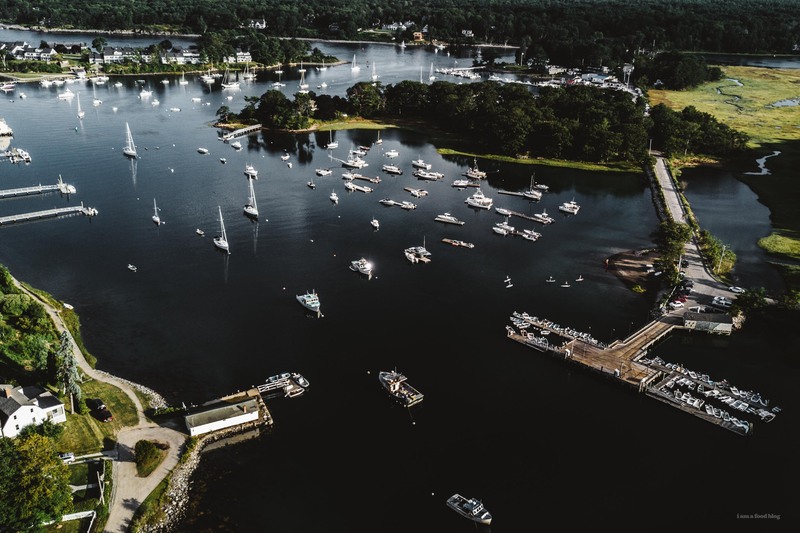 Its a magical place :) I grew up right near Kittery and the state’s seacoast will always be one of my most favorite places. Next time you come hit me up for places to go there’s so much yummy stuff around. I’ve been living in Maine for the past decade. Maine will never run out of flavors. The food here is delicious, tasty and will surely satisfy your cravings. Maybe this is one of the reasons why since we moved to Maine, we stayed here for good. Portsmouth NH is definitely worth a stop, right over the bridge from Kittery. love your photos. Portland is a real foodie town, so many great restaurants besides the donuts. I’m heading to Maine in late Sept. with my friend to celebrate us turning 50. Trying to decide where to go for some great food, kayaking, biking and just relaxation. Any recommendations? Coming from CT so don’t want to drive more than 4 hours to get to destination, which eliminates Bar Harbor.